As you relax in your Pigeon Forge motel room, what channel do you choose to watch? Does a “who done it” capture your attention? Perhaps a Law & Order episode, or maybe the forensic details of C.S.I. or NCIS? 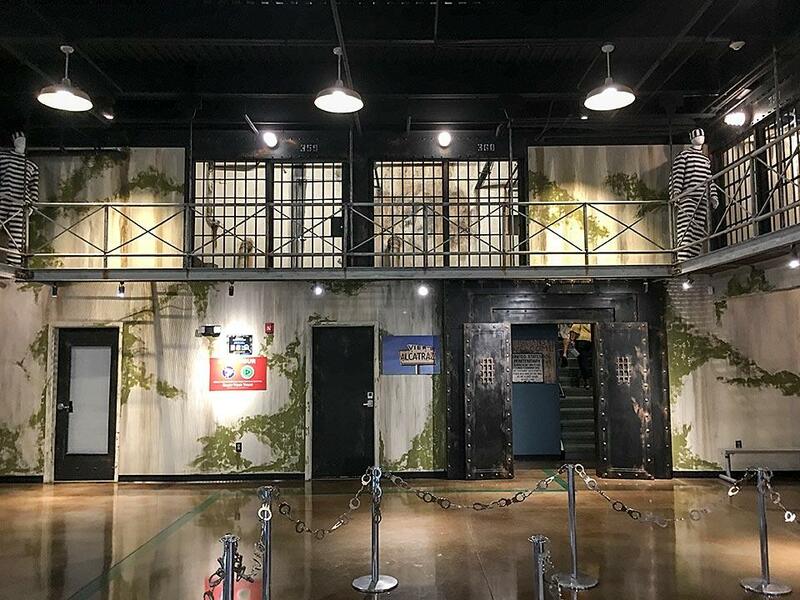 If the details of Criminal Minds, America&apos;s Most Wanted, Cops, or a Hallmark Channel Matlock or Perry Mason show intrigues you, then you must visit the recently opened Alcatraz East Crime Museum just a short distance away on the Parkway in Pigeon Forge. The museum is a two-story fortress that houses a comprehensive collection of crime-related exhibits, both educational and interactive. Divided into five distinct sections, it broadly covers the History of Crime, Crime Scene Investigation/Forensics, Consequences of Crime, Crime Fighting/Law Enforcement and Pop Culture/Counterfeit Crimes. The museum&apos;s name comes from the original San Francisco Bay prison that inspired the the beginning of the collection, and its location in East Tennessee. Many of the exhibits were transferred here directly from the Washington, D.C. Crime Museum. The massive collection covers 28 defined topic areas, 25,000 square feet of space, and over 500 authentic artifacts, in addition to accurate replicas of many infamous moments of crime. Make sure to plan plenty of time to view everything that might interest you! Throughout time there have been both outlaws and those who uphold the law. The intertwining of these two opposing worldviews makes for fascinating study throughout the museum, and you have the opportunity to envision both roles. From your initial mugshot and fingerprinting to the police line-up, to testing skills at the Police Academy Training Area, you can envision just what it takes to be the criminal or those who try to stop them. You can even choose to dive into the science of forensics to determine what happened. Your junior detective can crack a safe or hunt for missing pirate treasure, or experience what a jail cell feels like. Although there is some mature subject matter, there is something for everyone in your family to experience here. Crime has certainly changed over time, from medieval robberies to Wild West shootouts to organized Mafia crime of the 1900&apos;s. War, politics, and even celebrities on the wrong side of the law do not escape scrutiny in the exhibits at Alcatraz East. Sobering and educational is the exhibit area and theater devoted to the American tragedy of September 11, 2001, which is now history that must be learned to those who are younger than driving age. Those who work diligently to solve cold cases, prevent problems from reoccurring, protect our safety, and enforce the justice system are also featured at length here. The museum also partners with organizations that assist with missing persons, and technical experts throughout the country for many aspects of crime fighting. There is even a crime library for infamous events and related topics. There are too many specific artifacts for me to detail here. In addition, there are temporary exhibits and special events that occur throughout the year that should be investigated at this link to a don&apos;t miss location for "all things crime”. It truly is the most “arresting museum in the South”!